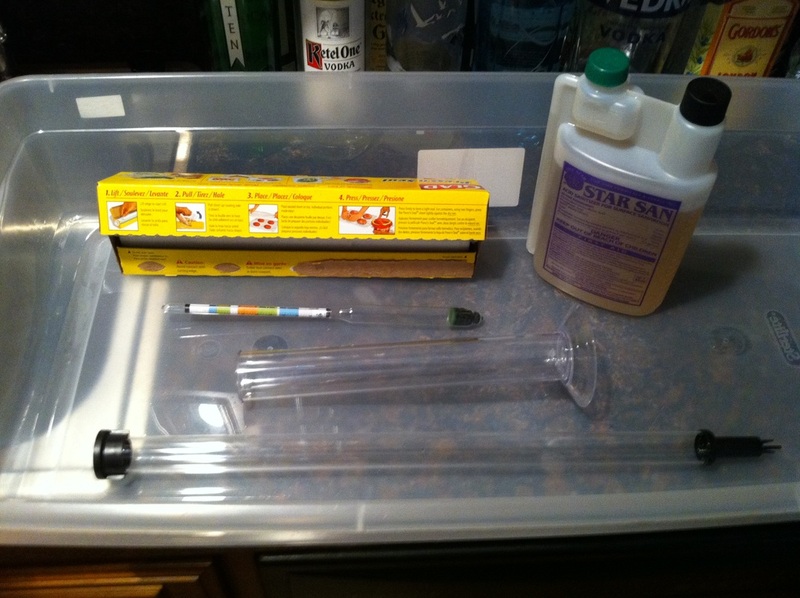 A hydrometer is an instrument used to measure the specific gravity of liquids. In the brewing process, we use it to determine how much fermentable sugar the wort contains. This is important for a few reasons. The one most people think of first is using the OG (original gravity taken before fermentation begins), and comparing it with the FG (final gravity taken after fermentation) to determine how well the yeast attenuated. 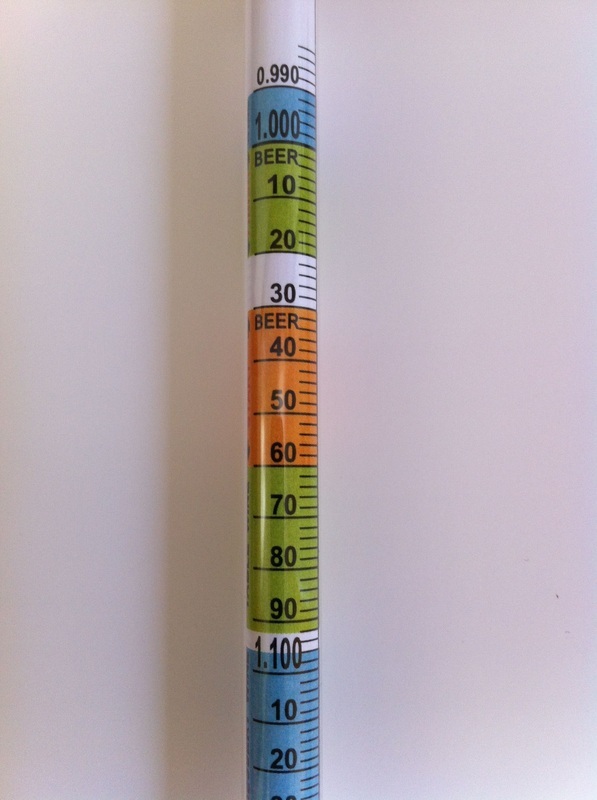 This tells us the beer's alcohol content. 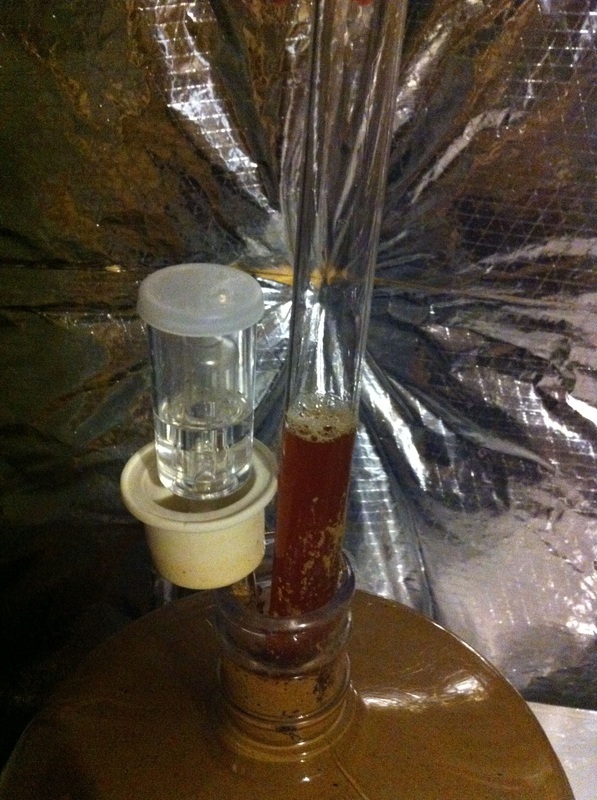 The first calculation I learned and probably the one I use the most today, gives a good approximation of ABV. OG - FG * 131 = ABV%. My favorite way to take a final gravity reading is described at the end of our Rack Beer to a Keg guide. 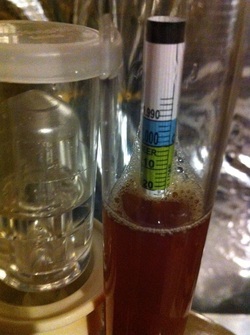 This sample comes from the the last liter of racked beer that will be quick-carbonated for early tasting. Notice the green cap on the Star San? When the existing caps break like they often do, you can use a 2-liter cap as a replacement. 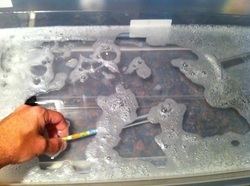 Pour a little Star San or your favorite sanitizer into the large plastic container and add water. I recommend getting one of these if you haven't already. 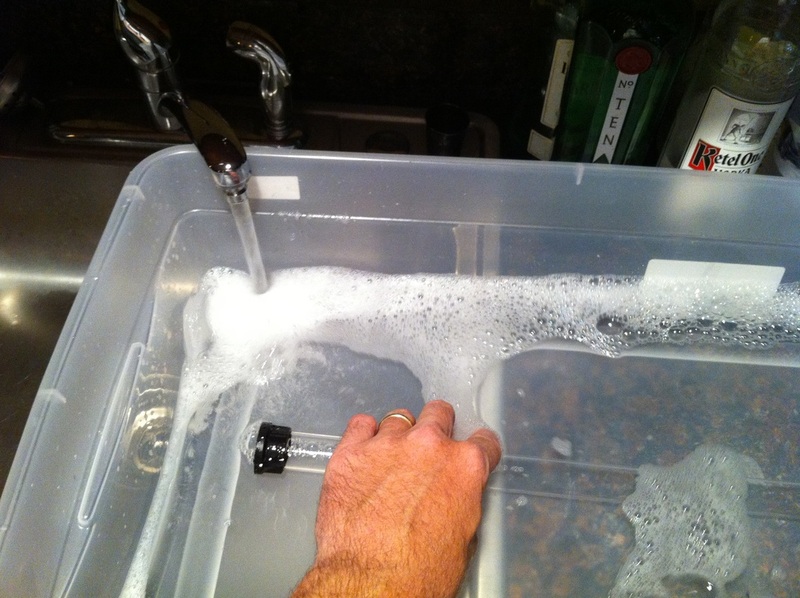 They are great for sanitizing larger equipment like racking canes etc. and are available at any all-purpose store like Target or Walmart. Tear off a small sheet of press n' seal and then again so you have two squares. Toss in all of the stuff and let it sit a minute. I try to be as sanitary as possible and (knock on wood) have never had an infection of any kind. 43 batches and counting! 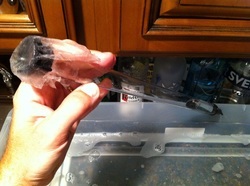 Run sanitizer through the thief a few times and push the tip on the side of the container to drain. 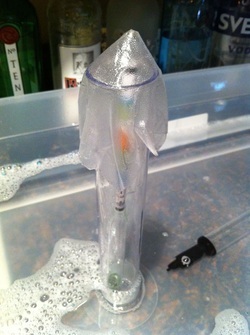 This will insure all of the parts are sanitized. The other square goes on the top of the thief until you're ready to take a reading. 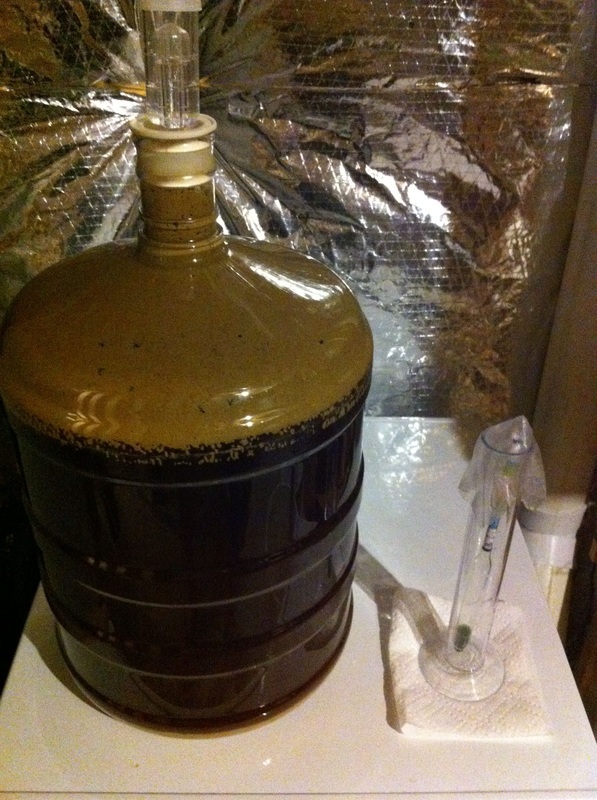 I like to get setup ahead of time by moving the hydrometer in place and unstick the carboy stopper so all I have to do is move it aside and take the reading. You may not be able to fit the thief into all carboys and this is another reason why I like Better Bottles. 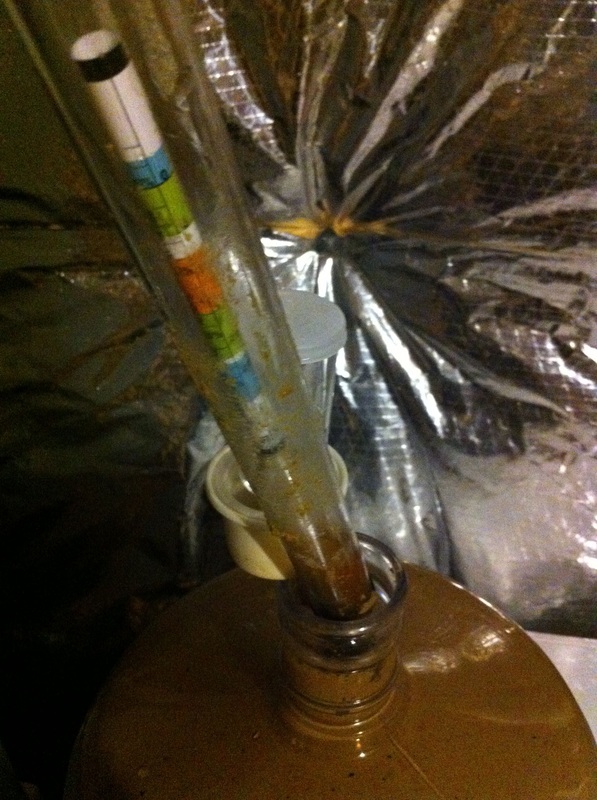 Glass carboys typically have a small opening that is not suitable for this. 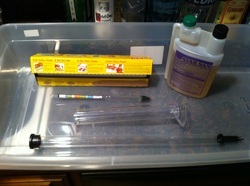 Next, I carefully move the thief up and down to retrieve a sample and be sure there is enough to float the hydrometer. One of the reasons I'm taking a FG for this beer is that it's a barley wine and originally started at 1.104. If the FG is not as low as I hope, then we may need to change some things like raise the temp a little. Next, slide the hydrometer down into the thief and settle out the bubbles. Okay... 1.024 is not bad. I have the fermenter temperature up to 74 degrees from this point on, so I definitely think it should drop another few points in two weeks. 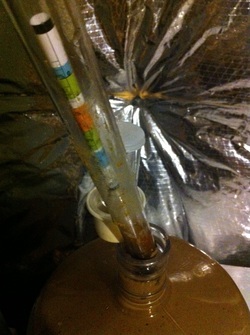 Finally, touch the tip of the thief on the inside edge of the carboy to drain the sample and close her up! 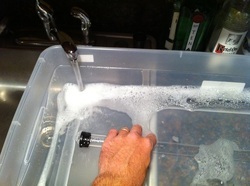 The container and water back at the sink are a great way to wash everything off for next time.